New York (AFP) - A New York judge on Wednesday removed injunctions preventing Argentina from making payments on its debt, opening the way for a resolution of a decade-old dispute with hedge fund creditors. Judge Thomas Griesa said Argentina's efforts to reach deals to settle the drawn-out legal case over billions of dollars in defaulted bonds merited the lifting of the injunctions he had placed in 2012. 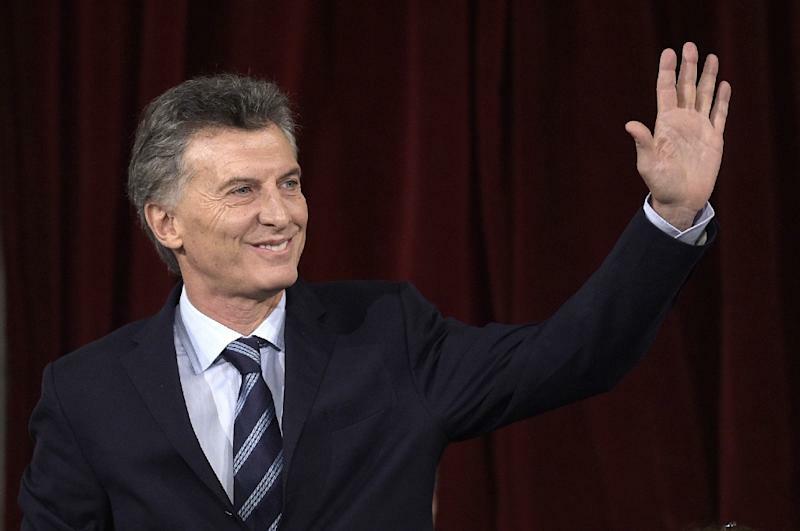 Griesa pointed to the agreement by the new Argentine government of President Mauricio Macri to repayment terms with most of the major "holdout" bondholders in recent weeks, and to Macri's call Tuesday for the Argentine Congress to cancel its own block on paying the holdouts. "Circumstances have changed so significantly as to render the injunctions inequitable and detrimental to the public interest," Griesa said. The injunctions were laid down by Griesa to force Argentina to pay the holdouts before it made payments on any of its other debt. 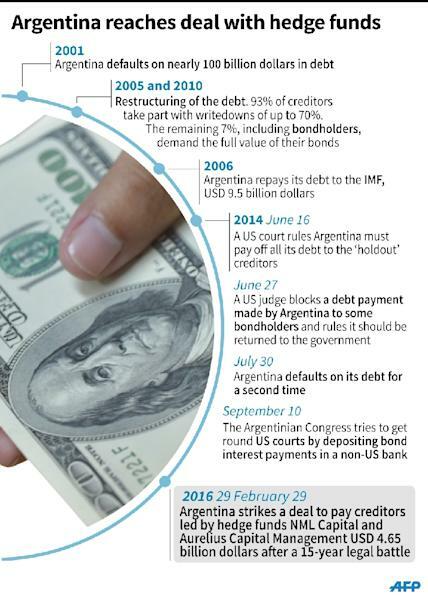 The previous government of Cristina Kirchner had refused to pay the holdouts, and so the court's block on any other debt payments forced the country to default in 2014, again isolating it from global capital markets. Macri, who took office in December, quickly moved to resolve the case with a $6.5 billion offer against some $9 billion in holdout claims. But to make the payments, Argentina must raise new funds on the market, impossible so long as the injunctions were in place. Lifting the injunctions remains contingent on the Congress removing its own payment ban, Griesa noted, as well as making good on the repayment deals struck over the past month. "There is a pressing need for certainty and finality," he said. "The court expects the Republic to continue to negotiate with the remaining non-settling plaintiffs."